The all-new 2013 Porsche Cayman will be unveiled at this year’s Los Angeles Auto Show 2012 that starts in late November, reports Automotive News. We reached out to Porsche but a spokesman told us that it had “No comment,” regarding the 2013 Porsche Cayman. Though details are slim at this point, the 2013 Porsche Cayman will look like a hardtop version of the Porsche Boxster convertible. 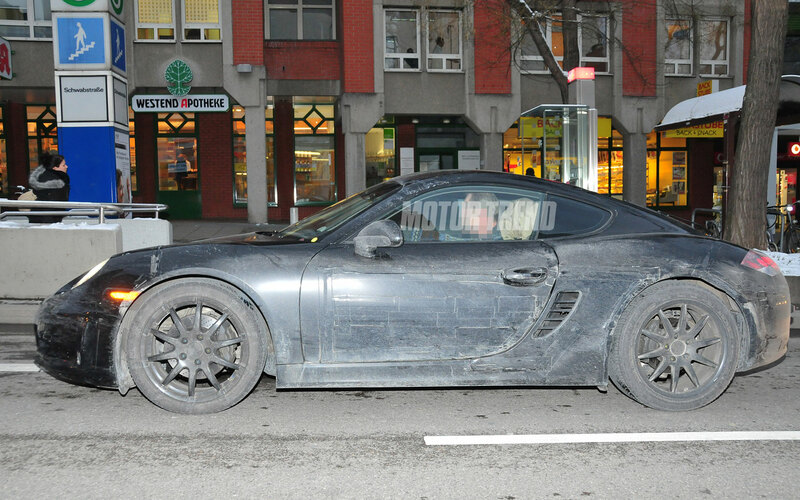 Outside the 2013 Porsche Cayman will get new bodywork all around, likely including the Boxster’s taillight-integrated spoiler (shown at right), while inside it’ll get more upscale with an interior reminiscent of the Porsche Panamera. Under the hood, the 2013 Porsche Cayman will get the Porsche Boxster’s new 2.7-liter F-6, likely producing 275 hp, compared to the Boxster’s 265 hp. The 2013 Porsche Cayman S will keep the 3.4-liter F-6, but will produce about 330 hp. Transmission options will be limited to a six-speed manual or seven-speed dual clutch PDK. Expect EPA-rated fuel economy to mirror the numbers of the 2013 Porsche Boxster, from around 20/28 mpg city/highway for a Porsche Cayman S with the six-speed manual transmission to about 22/32 mpg for a base Cayman with the dual-clutch transmission. The new 2013 Porsche Cayman will follow the Boxster’s lead by riding on a new 991-based chassis, that’s longer and wider than the outgoing Porsche Cayman. 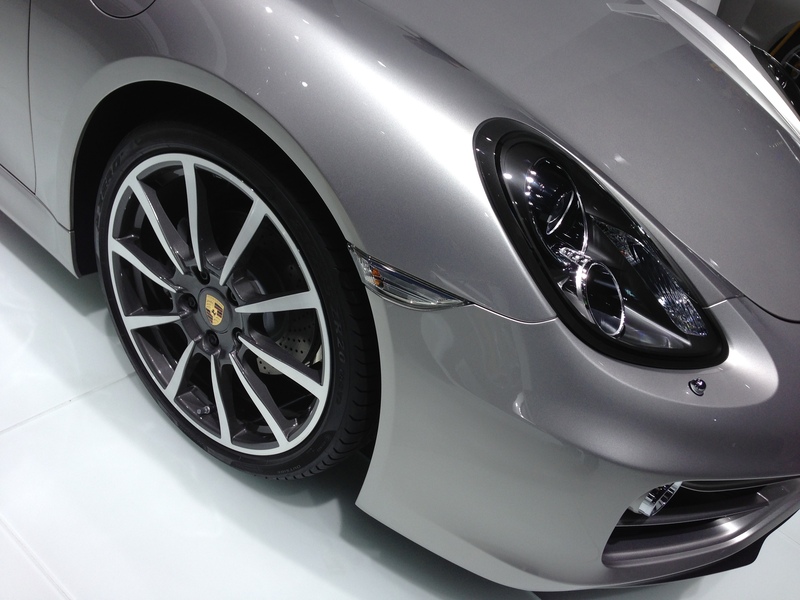 Expect a Cayman and Cayman S at the Los Angeles Auto Show 2012 debut, with a track-focused Porsche Cayman R to follow.